St. Clair County is home to many historic places. Take, for instance, the City of Cahokia. Cahokia was at one time the St. Clair County Seat and was the major political center of the Illinois Territory that extended all the way to the Canadian border. Within Cahokia is some of the nation's few remaining structures built in the French Colonial or Creole style of architecture with vertical logs called "poteaux-sur-solle" (post-on-sill). The Historic Cahokia Courthouse and the Historic Holy Family Log Church are two examples. Cahokia was also very important to aviation history. The St. Louis Downtown Airport has two historic Curtiss-Wright Hangers and the Greater St. Louis Air and Space Museum is located in one of them. Other places include the City of Belleville which has a very large Historic District. The St. Clair Historical Society is located in one of the restored homes it maintains. 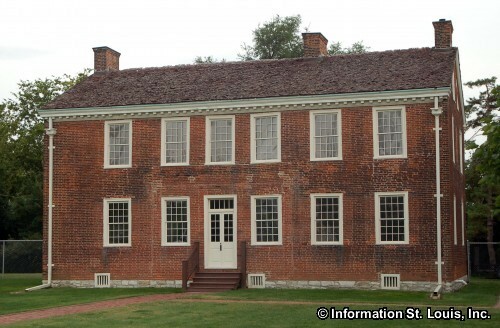 Listed below are many of the historic places that can be visited in St. Clair County. Make a day of it and enjoy!